Author of Designing Interface Animation and Design Advocate at Adobe. The products we design today must connect with customers across different screen sizes, contexts, and even voice or chat interfaces. 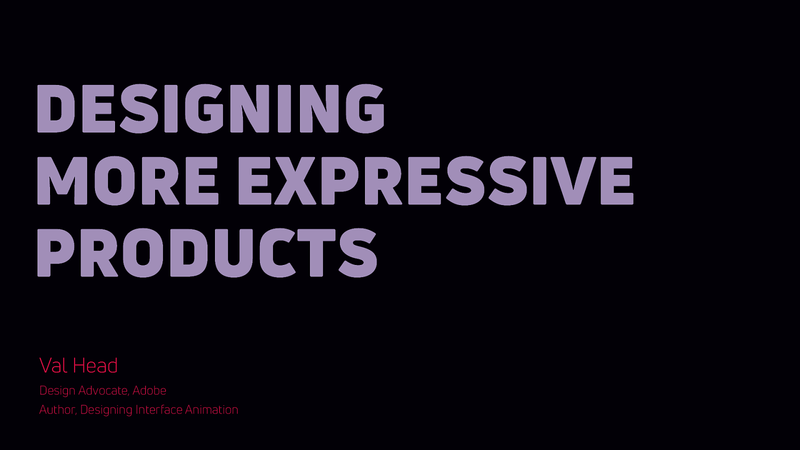 As such, we create emotional expressiveness in our products not only through visual design and language choices, but also through design details such as how interface elements move, or the way they sound. By using every tool at our disposal, including audio and animation, we can create more expressive products that feel cohesive across all of today's diverse media and social contexts. 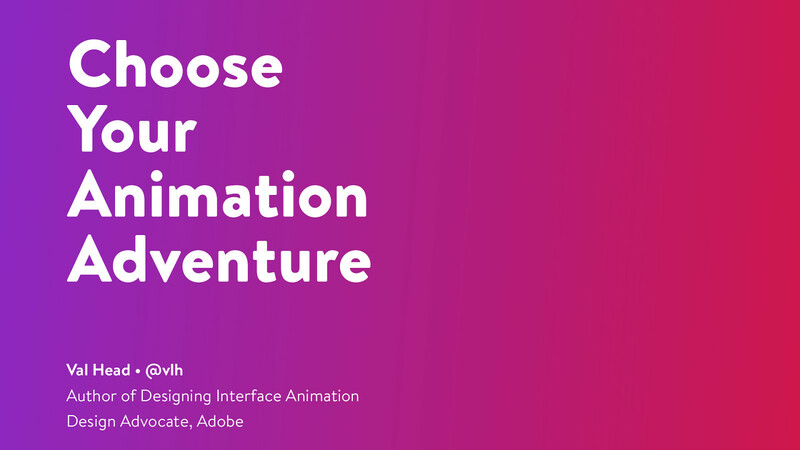 In this session, Val will show how to harness the design details from different media to build overarching themes—themes that persist across all screen sizes and user and interface contexts, creating a bigger emotional impact and connection with your audience.